Award-winning and bestselling children’s music star Laurie Berkner’s treasured song “Pillowland” is now a beautiful picture book! 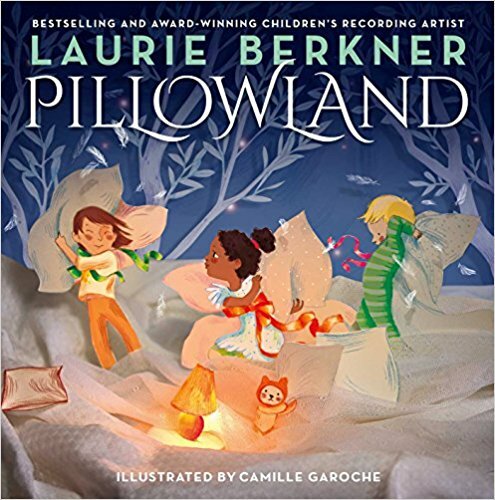 Laurie pairs the lyrics of her beloved hit with Camille Garoche’s magical, lush art in Pillowland, which is set for publication by Simon & Schuster Books for Young Readers on November 7, 2017. 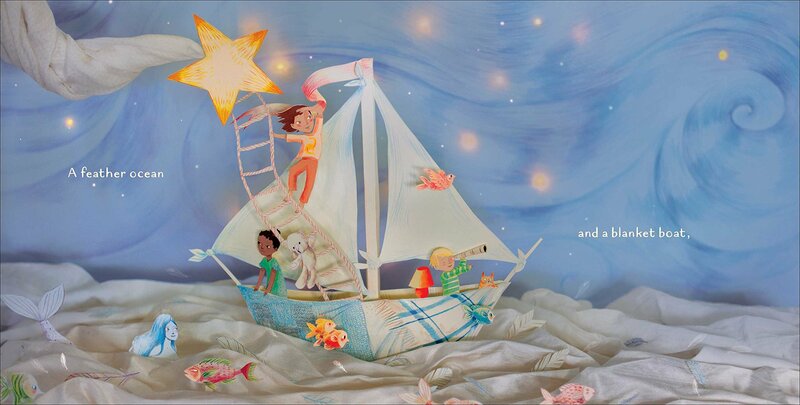 Like a lullaby sculpted to the form of a picture book, with Laurie Berkner’s lyrics enhanced by the fanciful cut-paper illustrations of Camille Garoche, Pillowland carries readers away to a feather-fluffed dream world where bedtime is always a grand adventure. Laurie Berkner’s treasured song “Pillowland” is now a beautiful picture book! Featuring magical, lush art by Camille Garoche, Pillowland carries readers away to a feather-fluffed dream world where bedtime is always a grand adventure. Bonus: Sheet music for the “Pillowland” song is included on the back cover of the book! About the Author: A former preschool music teacher by day and indie rocker by night, Laurie Berkner is a singer, songwriter, lyricist, author, and founder of her own label, Two Tomatoes Records. 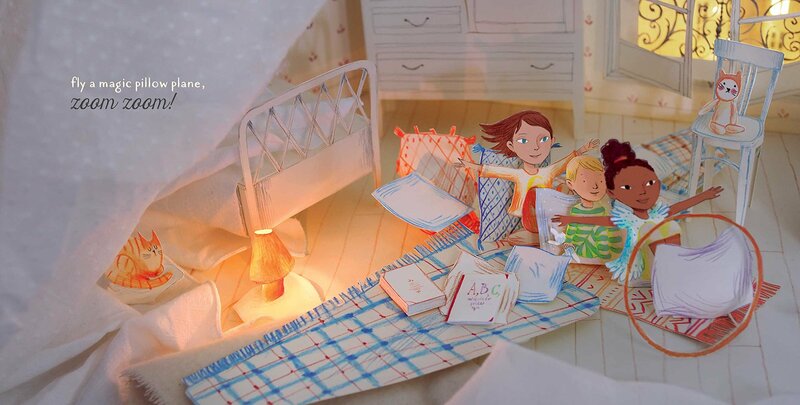 Pillowland is Laurie’s second picture book with Simon & Schuster. The first, We Are the Dinosaurs, was published in March of this year, timed to the 20th anniversary of the first recording of Laurie’s chart-topping “We Are the Dinosaurs” song. Laurie has released eleven bestselling, award-winning albums, was the first recording artist ever to perform in music videos on Nick Jr, and appeared regularly on that network’s Jack’s Big Music Show. She helped develop the short-form animated musical preschool series Sing It, Laurie! 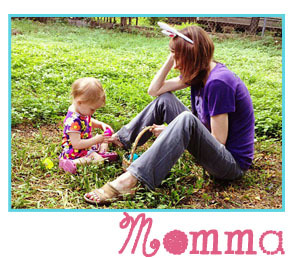 on Sprout TV and has written the music and lyrics for three Off-Broadway children’s musicals. 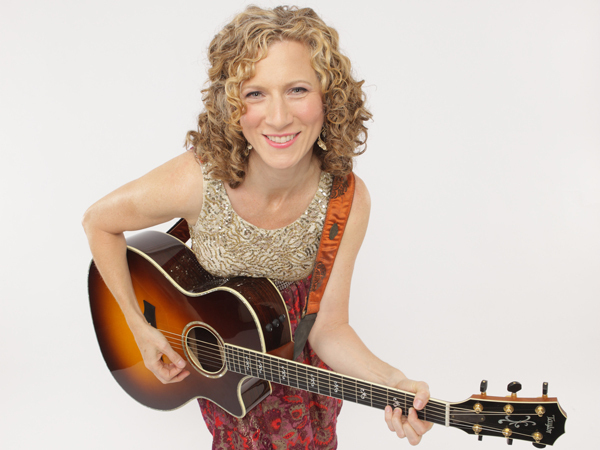 Laurie also tours nationwide, performing both solo and with The Laurie Berkner Band. Learn more at LaurieBerkner.com. About the Illustrator: Camille Garoche was born on a Tuesday. She spent her childhood in the southwest of France, terrorizing her brothers and sisters by drawing them stories about zombie cats. One day she decided to go to Paris to study applied arts. Now, at thirty years old (and a bit), she has published more than thirty books for children. Today she devotes herself primarily to her own stories — like Fox’s Garden and The Snow Rabbit — while listening to detective stories in her workshop in Montreuil, France. See more of Camille’s work at camille.garoche.me.. List Price: $ 17.99 Note: Pillowland, a must-have for fans of Laurie’s music and all things soft and sweet, may be pre-ordered on the Simon & Schuster website HERE. ← Celebrate Halloween with Shel Silverstein and RUNNY BABBIT RETURNS!